Yesterday we started a new adventure: the 12th edition of the premier educational event for the Semantic Web research community, SSSW 2016. 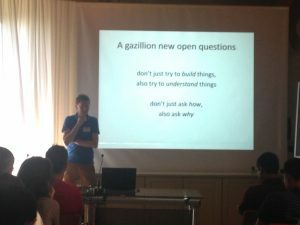 We have all the ingredients to make it a great week: 50 students willing to learn everything about the Semantic Web, a breath-taking location and the best experts of the field. Mathieu, Oscar and Valentina, the three directors of the school, welcomed the students with a presentation of the educational program and the fundamental rules of the SSSW: participate, collaborate, interact, learn and have fun! By the evening our students were divided into groups of 4/5 people to work together in a mini project, chosen among the 27 proposals presented during the morning by the tutors. We also attended the first invited talk, by Frank van Harmelen, which was very inspiring. It was about the Computer Science in general, and Semantic Web research in particular, should not only take an engineering stance (“how can we solve a problem”), but also an empirical scientific stance (“what properties do we observe of our artefacts, and why do they have these properties”). He illustrated this stance with a number of observations on the Web of Data which often lead to currently unexplained effects, including hotspots in knowledge graphs, power laws at different scales of observations, and the (ab)use of URI’s as information-carrying terms related to words in natural language. He also encouraged the audience to use the LodLaundromat as a new observational instrument for the Web of Data. During the two poster sessions, the students presented their research work. This was an excellent opportunity to know everybody’s work and to get feedback from senior researchers. The best poster was announced during dinner. 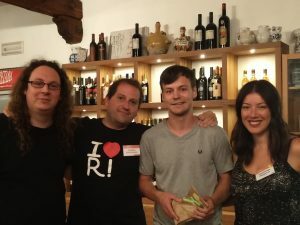 Congratulation to Sebastian Neumaier for his poster “Improving Open Data Usability through Semantics”. 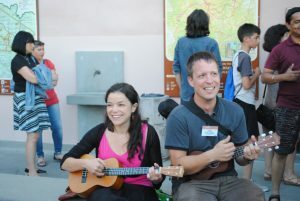 After the dinner we all enjoyed a semantic jam session! This has become a tradition of SSSW. 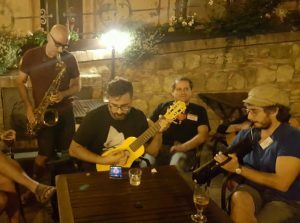 Live music, limoncello and entertainment at the bars in Bertinoro. 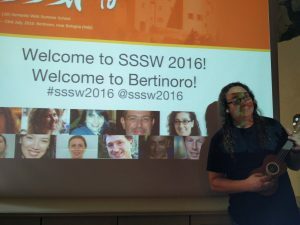 ← SSSW 2016 starts in less than a week!